Dr. Imelda Tan, PT, DPT, CES is a top-ranked physical therapist in Manhattan and throughout New York City, using advanced techniques to help patients in the Midtown East area recover from injuries to the feet and ankles, as well as strengthen and tone feet and ankles following surgery for optimal recovery. What foot and ankle injuries can physical therapy address? Physical therapy can also help prevent future injury by helping you learn new ways to move that reduce the stress and strain on your feet and ankles. 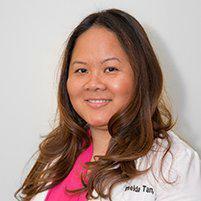 How does Dr. Imelda Tan, PT, DPT, CES help people with foot and ankle injuries? The feet contain one-fourth of all the bones in the body – 52 all together – as well as more than 100 muscles, ligaments and tendons, and considering the weight the bear and work they do all day long, it's not difficult to understand why they're subject to a wide array of injuries. Imelda begins by evaluating the source of foot and ankle pain, reviewing symptoms and treatments, and learning about each patient's individual lifestyle and habits so she can develop a plan of stretching, strengthening and range of motion exercises to help restore your foot and ankle to health and wellness. Each course of treatment is designed to support the physical activities and lifestyle needs of the individual patient for more successful outcomes and greater patient satisfaction. What can I do to prevent foot and ankle injuries? Wearing the proper footwear is essential to protect your feet and ankles from strains and trauma that can result in soft tissue injury and fractures. Imelda can also teach you how to perform simple exercises at home to keep your feet as flexible as possible so they're able to adapt to changes in force that can occur in a wide array of activities.